Today, graph data, as a subcategory of big data, is used for variety of smart applications such as recommendation engines in e-commerce and social media services, fraud analysis in finance, routing optimization in transportation, investigation in security, citizen “identification” in smart cities, communication routing in telecommunication and so on. 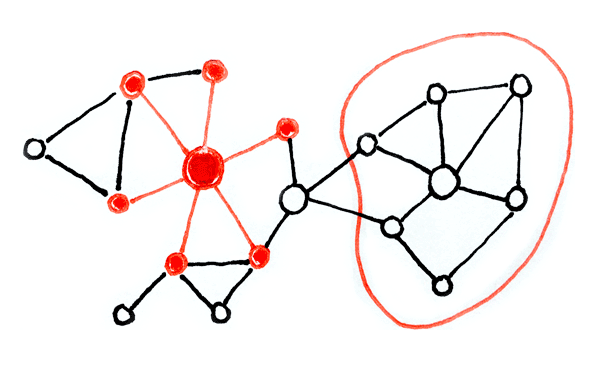 Whereas network mapping, as a method for working with graph data, offers a common language, that is both visual and mathematical. This language can be applied to systems that may differ in their nature, appearance, or scope. Thus, we can begin studying a variety of complex systems and utilize graph data for new cases other than the typical ways of dealing with big data. A network map is typically organized visually by a force-directed layout algorithm, where nodes find their position on the canvas through connecting forces, revealing the central actors, indirect links, organic clusters, structural holes, and outliers. However, such graph analysis metrics can be programmatically queried on a graph database in order to build graph-driven applications. Creative Use of Complex Networks hackathon is focused on generating new types of graph data (see different graph examples) and developing creative graph-driven applications (see structured journalism hackathon). Modeling networks for civic issues and generating graph data using variety of resources. Developing creative applications utilizing graph data. On the one hand, participants will learn more on the network mapping and analysis methods, on the other hand, they will build reusable graph-driven applications. Start brain storming with paper & pen drawing of network models. Discuss critical actors and relations in the field of interest. Address primary questions on the issues and decide on possible applications for solutions. a) Create a data tool that generates graph data from various sources based on the network model decided on the previous session. 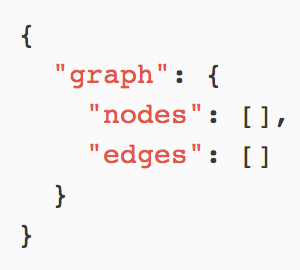 b) Create an application that utilizes an existing or a newly built graph data for its operations and interfaces. Prototypes should work at the end of the first day for feedback. Use the feedbacks to refine your apps in the second day. Present your work at the end of the second day in a public presentations session. 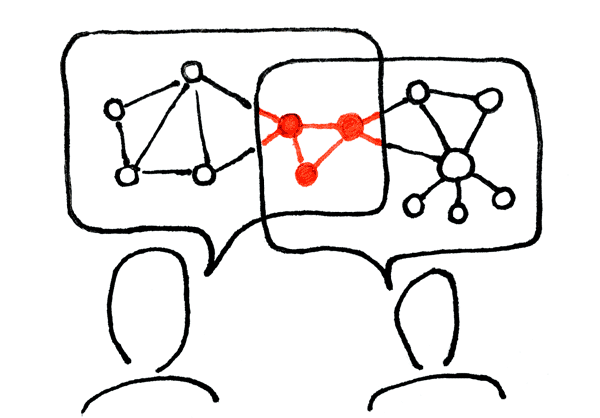 Discuss the network model on the issue at hand, its actual data metrics, and how it is utilized in your graph-driven application. Also mention your plan on further iterations. People who can program things (backend, frontend, data analysis, visualization, and others), and interested in developing creative and critical graph-data applications focused on civic issues. Learn how to make network maps, how to analyze networks. Develop creative and critical big data applications. Expand your information architecture skills. Use your programming skills on civic issues. Participation is free. Since we got limited space, you will be contacted regarding your participation, after you fill the form. Thanks! Mentors will help as much as possible during your work. Please visit the 2015 September Hackathon for a list of civic issues and resource links. All tools created in the hackathon belongs to its creators and expected to be licensed under a free and open source software license. 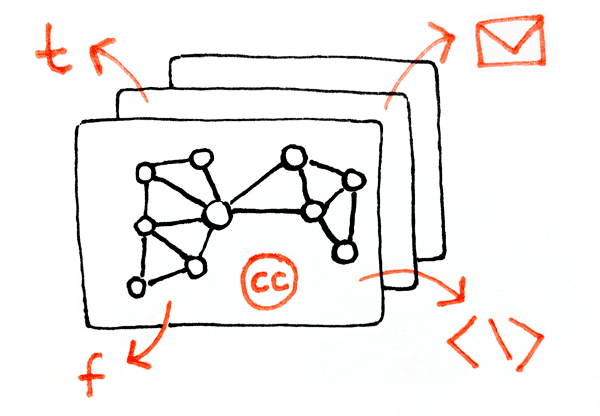 The network maps or graphs created on Graph Commons belongs to its authors and licensed with Creative Commons International 4.0.
https://graphcommons.com/slack – Chat, questions, diuscussions, finding people and forming working groups, sharing work, and links. workshop@graphcommons.com for your Hackathon questions.